The latest radio ratings from Numeris, covering the period Nov. 26, 2018 to Feb. 24, 2019, place 96.3 The Breeze in first place with a 9.5% share. That’s encouraging news for CKRA-FM which adopted the Breeze format on Dec. 26, 2018 but may also reflect the fact that the station played Christmas Music for the first month of the ratings period. Jamie Malbeuf has joined CBC Edmonton this month. She was previously at CBC North in Yellowknife. Oliver Roeder, a data journalist at FiveThirtyEight, was in Edmonton last week to discuss data journalism. Here’s my Twitter thread from his talk. The fifth season of APTN’s CAUTION: May Contain Nuts, which premiered on Friday, features 360-degree film technology to enable six virtual reality sketches. In a new podcast with Recode Media, Overtime CEO Dan Porter says the conventional wisdom in today’s media industry — that it’s too risky to build a new business on top of a platform like Instagram or Snapchat — is wrong. Spirited Media, which had launched three city-centered news sites, is selling those sites and pivoting to consulting. Apparently the average Netflix subscriber spends two hours a day on the service. Most people watch on TV and multiple devices, rather than on mobile devices only. The City is facing a $2.4 million deficit for 2018 that Administration says is “largely due to external factors beyond the City’s control.” Read more in the latest Council Roundup. 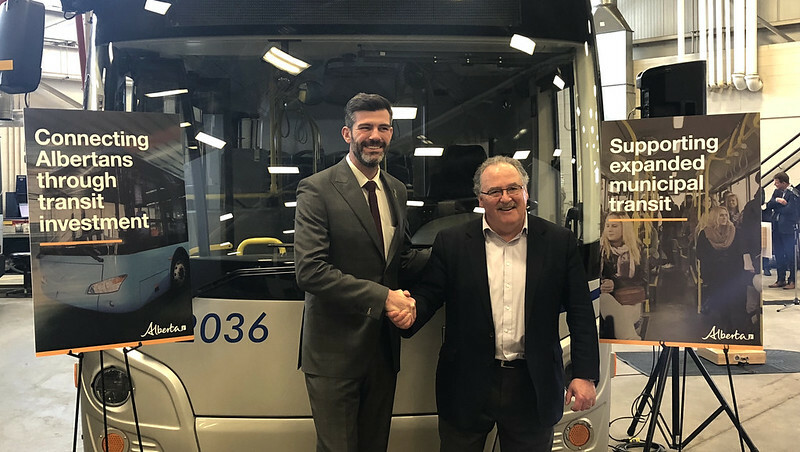 The Province announced $90 million in funding for Edmonton through the Alberta Community Transit fund. 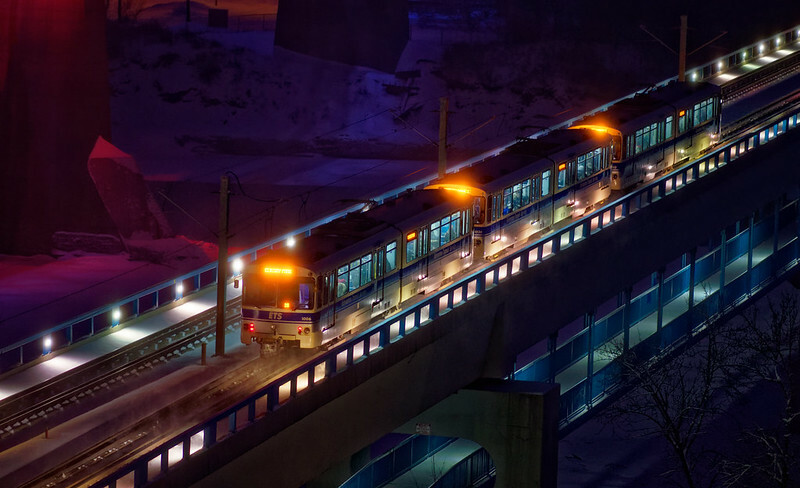 The money will be used for upgrades at Stadium LRT Station, a new transit garage, new electric buses, and upgrading Terwillegar Drive to an expressway. One of these things is not like the others. Council this week decided to keep the 500-metre separation distance between liquor stores. For an in-depth discussion on this topic, check out Episode 28 of Speaking Municipally. According to the 2019 Canadian Centre for Policy Alternatives study of the best and worst places to be a woman in Canada, Edmonton has one of the largest gender gaps in the country, ranking second last out of the 26 biggest cities in Canada. The weather this weekend was great, but Friday saw a dump of snow that led to at least 190 collisions during the work day. The Muttart Conservatory is closing in July for upgrades and will not reopen until early 2021. The City is collecting input on a 20-year vision for Gallagher Park via an online survey that is available until March 20. A new report says it could cost the City about $800,000 per year to enforce animal protection laws after the Edmonton Humane Society stopped performing the duties in January. Marti Hiniuk was honoured at Rogers Place this week for her 40 years of service – she started working at the Coliseum in March 1979 and estimates she has only missed about 10 Oilers games in that time. The Telus World of Science will host the Canadian debut of Marvel: Universe of Super Heroes starting October 19. Downtown Dining Week kicked off on Friday and runs until Sunday. A full-day crash course in Growth Marketing for startups and scale-ups is taking place at Startup Edmonton on Monday. The Oilers host the Rangers on Monday and the Devils on Wednesday at Rogers Place. Just 14 games left in the regular season! Lynyrd Skynyrd performs at Rogers Place on Tuesday evening. The 7th annual Corporate Growth Summit takes place Wednesday and Thursday at the Edmonton Convention Centre. A potluck dinner and AGM for the ChefGail Fund will take place on Wednesday evening at McKay Avenue School. The Edmonton Boat & Sportsmen’s Show runs Thursday to Sunday at the Edmonton EXPO Centre. Homeward Trust presents the 2019 ROOPH Awards Luncheon takes place on Thursday at the Edmonton Convention Centre. Learn about the proposed rezoning for the development of two mixed-use towers on the Edmonton Motors site (Jasper Avenue and 115 Street) on Thursday evening at Oliver School. The towers would be 56 and 46 storeys tall. EFCL is hosting a workshop on Developing Community League Sustainability on Thursday evening at the Belgravia Community Hall. The Edmonton Indigenous Entrepreneurs Summit takes place Friday at Concordia University. WWE LIVE: Road to Wrestlemania takes place on Friday evening at Rogers Place. The Edmonton Community Arts Network (a fledgling collection of community-engaged artists looking to broaden the discussion about community arts, engagement, and development in the Edmonton area) is hosting a two day conference on Friday and Saturday at The Orange Hub. Jason Purcell and Matthew Stepanic are hoping to launch Glass Bookshop in November 2019 in The Quarters. “Glass Bookshop will be part bookstore, part wine bar, and all community space, where readers and writers can gather for readings, launches, and conversation,” reads the Indiegogo campaign. Global Edmonton’s Quinn Ohler is the recipient of this year’s Rising Star aware from Lethbridge College. “I’m humbled. I thought maybe they called the wrong person when they told me,” Ohler said. Mark Drelich, former with NOW! 102.3 FM, and Chelsea Bird, formerly with 104.9 Virgin Radio, are house guests on season 7 of Big Brother Canada which premieres on March 6. Red Deer-based Todayville recently launched a Twitter account for Todayville Edmonton. The Edmonton Public Library podcast Overdue Finds was named Outstanding Branded Series at the Canadian Podcast Awards. Luminary has launched with nearly $100 million in funding, a lineup of big stars, and a plan to build a subscription-based company like Netflix but for podcasts. Last week I heard about the Momo hoax for the first time when a local TV journalist contacted me for comment. From Nieman Journalism Lab: How local TV news stations are playing a major (and enthusiastic) role in spreading the Momo hoax. 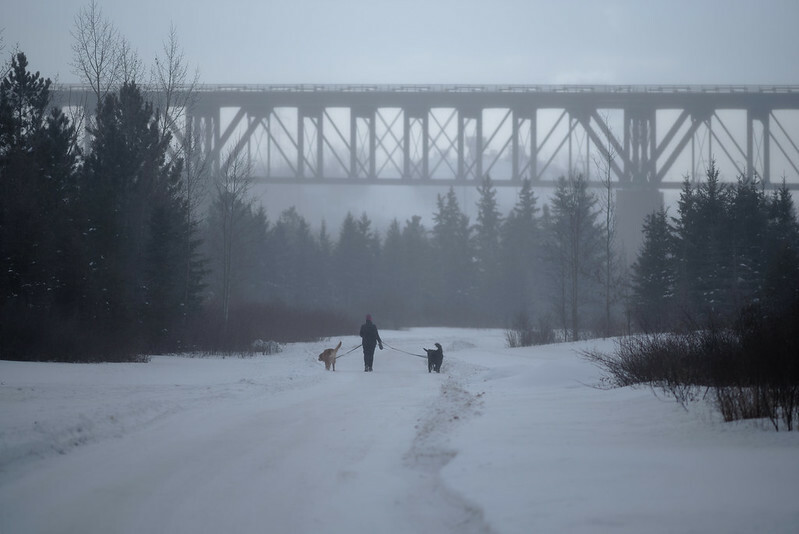 In a new forecast, the Conference Board of Canada says that “economic growth in Alberta will slow markedly this year” but that it should accelerate again in 2020. MacEwan University president Deborah Saucier has resigned from her position effective July 3 to become president and vice-chancellor at Vancouver Island University. “The MacEwan Board of Governors will immediately begin to plan for an executive search to find a new president, and is considering the appointment of an acting president.” Saucier took over as president of MacEwan on July 1, 2017. The Chinatown and Area Business Association has lost its legal challenge of safe injection sites in Central McDougall and McCauley. New zoning bylaw changes allow garden suites on properties of any size, provide opportunities for tiny homes to be permitted as garden suites, and allow accessible units to be built without parking, among other things. Oxford Properties is reportedly close to an agreement to sell City Centre Mall and the adjacent Oxford Tower and TD Tower to a group led by LaSalle Investment Management. Some in the McCauley community feel the cluster of pharmacies that have popped up may be taking advantage of Edmonton’s most vulnerable. “You’d have to suspend disbelief to think that McCauley needs that many pharmacies,” said Ward 6 Coun. Scott McKeen, who represents the neighbourhood. Glass Bookshop will be Edmonton’s newest bookstore, co-founded by Jason Purcell and Matthew Stepanic. They’re looking at a space in The Quarters for the shop which “will be part bookstore, part wine bar, and all community space.” The Indiegogo campaign has currently raised 53% of the $25,000 goal. A new report from CBRE says the Edmonton International Airport, Valey Line LRT, and a proposed southwest hospital are driving long-range commercial real estate trends. DIALOG recently held the inaugural Youth Architecture Camp which saw 21 students from 8 high schools participate. Learn more here. 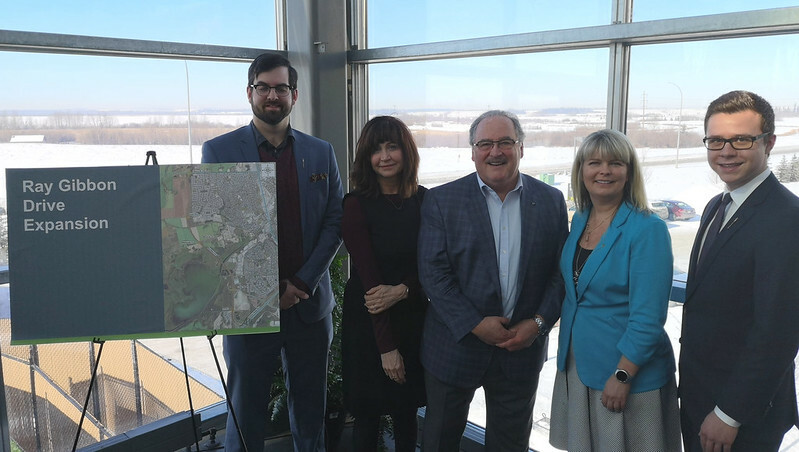 The Province has announced that design work for widening all 8 km of Ray Gibbon Drive in St. Albert will start this year with construction beginning in 2020. Share your thoughts on residential winter road maintenance: the online survey is open until March 31. In the latest episode of Speaking Municipally, Troy and I discuss affordable housing, supertall towers, downtown safety, and fluoride. I was really happy to be the episode 65 guest for Shane Fennessey’s City of Champions podcast. We spoke about tech, Edmonton, and more. The Alberta Small Brewers Association is hosting the Alberta Craft Brewing Convention 2019 from Monday to Wednesday at the Edmonton Convention Centre. The Blockchain and Technology Symposium takes place Tuesday and Wednesday at the Edmonton Convention Centre. EndPovertyEdmonton is hosting the Let’s Do This Initiative Launch on Tuesday at 11am at the ATB Financial Arts Barns. The City is hosting a launch event for the Smart Cities Challenge Finalist Proposal on Tuesday at City Hall at noon. The next Green Drinks will focus on resilience and serves as a kickoff to the Edmonton Resilience Festival. It takes place Wednesday evening at Yellowhead Brewery. Rust Magic is hosting a panel discussion on Thursday evening at the Art Gallery of Alberta. Organizers will be sharing plans for Rust Magic 2019 too. The Oilers host the Canucks on Thursday and the Maple Leafs on Saturday at Rogers Place. DIALOG is hosting Cities From Her Perspective on Friday at noon. 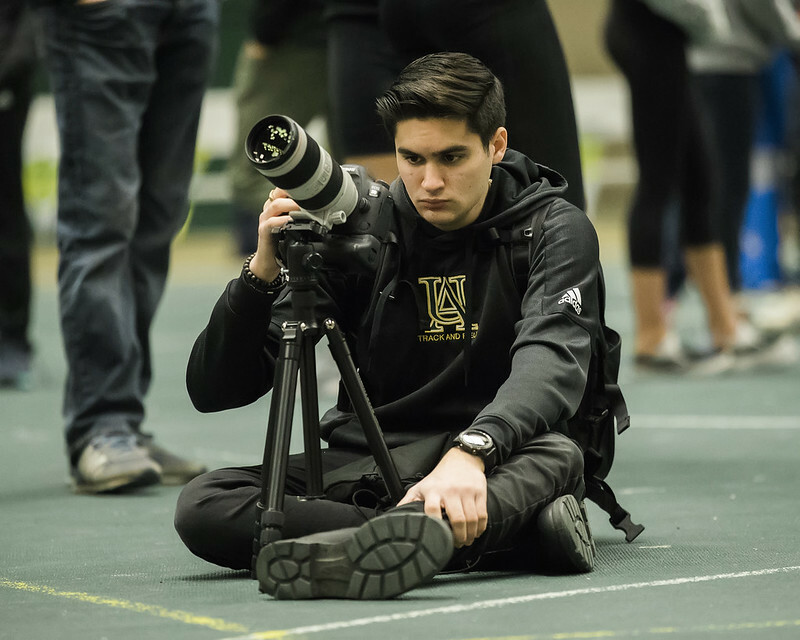 The University of Alberta’s Peter Lougheed Leadership College is filming a campus wide drone shot at the Main Quad on Friday afternoon at 1:30pm. The Women & Wealth Gala to celebrate International Women’s Day takes place Friday evening at the Edmonton Convention Centre. Kick It Up! 2019, iHuman Youth Society’s fundraising gala in support of programming for young moms, takes place Friday evening at the ATB Financial Arts Barns. ParityYEG presents Political Campaigns for Newbies on Saturday morning at Roundhouse. The Edmonton Golf Show takes place Saturday and Sunday at the Edmonton EXPO Centre. This year’s Mom, Pop & Tots Fair takes place Saturday and Sunday at the Edmonton EXPO Centre. The Alberta Aviation Museum presents Take Flight with Dr. Shawna Pandya on Saturday afternoon to celebrate Women of Aviation Worldwide Week. 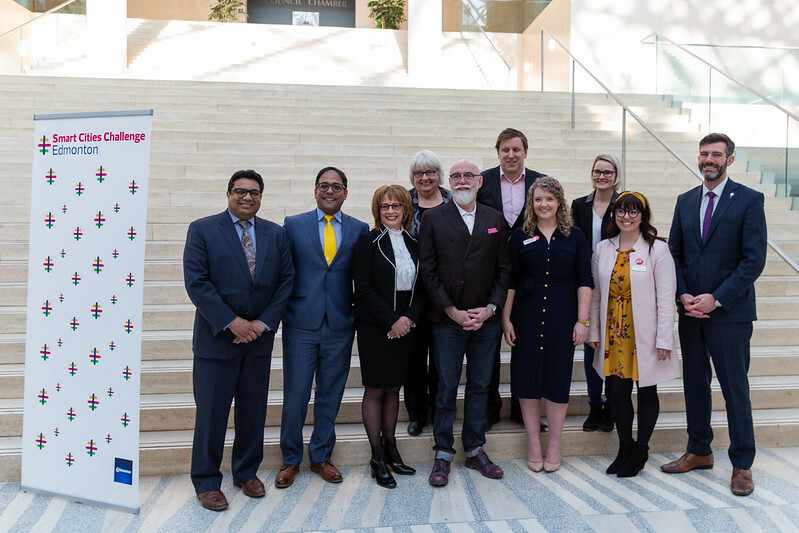 The Alberta Magazine Publishers Association (AMPA) has announced the finalists for the 2018-19 Alberta Magazine Awards. The awards gala will be hosted by Todd Babiak at the 24th annual Alberta Magazines Conference on April 4 in Calgary. Royal Bison has launched a podcast about makers in and around Edmonton called Makers Moment. The first episode features Molly McMahon of Stranger Design. UrbanYEG presents InstaMeet 19 on March 2 at the Alberta Legislature. The Misery Beat: The Ethics of Reporting on Crime and Human Suffering features Jana Pruden. It takes place on March 4 at the TELUS Centre. From Chartable: Here’s why we’re entering the Golden Age of Podcasts, in 10 graphs. The Knight Foundation is committing $300 million over five years to organizations including the American Journalism Project, Reporters Committee for Freedom of the Press, and ProPublica. We all know that media jobs are disappearing. “But new data from LinkedIn shows that the plight of journalists may not be that bad — if you’re willing to consider a broader definition of what constitutes “journalism” and its para-industries,” says Recode. Oilers captain Connor McDavid was suspended two games for an illegal check to the head during Thursday’s game against the New York Islanders. McDavid scored the winning goal that night in overtime. “Obviously it was not a great check, not what I was trying to do. I was just trying to finish my check,” McDavid said after the game in Edmonton. Former mayor and Alberta Party leader Stephen Mandel will find out this week if he will be allowed to run in the election. Len Rhodes, who recently stepped away as president and CEO of the Edmonton Eskimos, has been appointed the UCP candidate in Edmonton-Meadows. University of Alberta Golden Bears coach Barnaby Craddock will be the first ever head coach for the Edmonton Stingers. “It was an exciting opportunity, I mean one you can’t say no to,” said Craddock, who will continue to coach the Bears. A total of $24 million was raised during this year’s United Way of the Capital Region campaign. The City is looking for input on the future of waste management. In addition to drop-in sessions there’s an online survey open until April 15. The Edmonton Heritage Council is looking for expressions of interest to join the board of directors! The deadline to apply is tomorrow, Feb. 25. 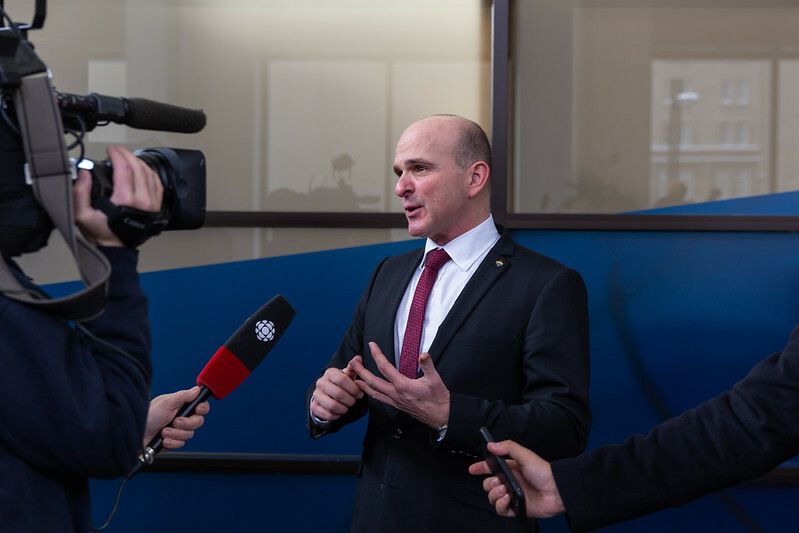 In Episode 26 of Speaking Municipally we chat about Transportation Minister Brian Mason’s attempts to put the “cash cow” (photo radar) out to pasture. The City is hosting a series of drop-in public engagement sessions this week to gather feedback on an updated accessibility policy. Learn about B Corps and Social Entrepreneurship on Monday during lunch at NAIT’s Mawji Centre. The Indigenous Women’s Business Panel takes place at the ATB Branch for Arts & Culture on Tuesday night. Wolf Pack YEG Talks Politics & Gender on Tuesday evening at Work Nicer Beaver House. What I Wish I Knew presents Crushing Imposter Syndrome on Tuesday evening at the Art Gallery of Alberta. The Greater Edmonton Teachers’ Convention is on at the Edmonton Convention Centre Thursday and Friday. Sherbrooke Liquor hosts Game Changers: Beers that Changed the World on Thursday evening. DECL is hosting a Pedway Pub Crawl on Thursday evening. The Alberta Business Awards of Distinction will be given out on Friday night at the Renaissance Edmonton Airport Hotel. Ascension 2019, Canada’s national space conference, runs Friday to Sunday at the University of Alberta. The True North Cheer & Dance Championship runs Friday to Sunday at the Edmonton EXPO Centre. UrbanYEG’s InstaMeet 19 takes place on Saturday evening at the Alberta Legislature. Dinner with Canada’s Top Chefs is happening on Saturday night at the Edmonton Convention Centre. HempFest Cannabis Expo takes place on Saturday and Sunday at the Edmonton Convention Centre. “It’s a blessing to be able to bring people the news over the airwaves,” tweeted Global News Radio 880 Edmonton host Adam Brilz on World Radio Day. “I also can’t forget thanking my dad for inspiring me to follow this career,” he added. CISN Country 103.9 FM’s Andrea Taylor shared a photo of her very first on-air shift from Dec. 24, 2001 with Power 92. A new independent report on the future of the British media recommends direct funding for public-interest news outlets and the creation of a new institute of public interest news. “To subject the distribution of your work to the workings of the market is unreasonable — if you think your work matters, that is.” The Outlines argues that journalism should be free. From New York magazine: Can Subscriptions Save All Media Companies, or Just the New York Times? Construction on the Valley Line Southeast LRT is behind schedule but it’s unclear by how much. “It’s trending late,” said Adam Laughlin, the city’s deputy manager of integrated infrastructure services. 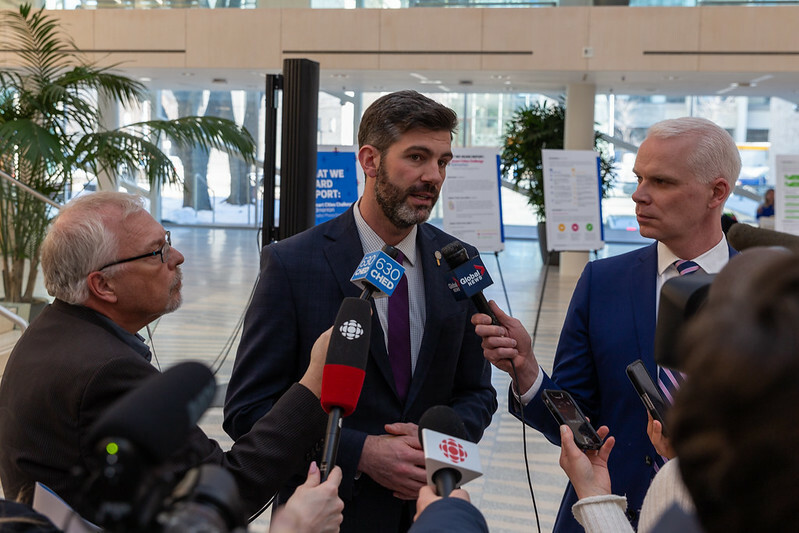 The Government of Alberta is investing $200 million alongside $26 million from The Stollery Children’s Hospital Foundation to build the Child and Adolescent Mental Health Centre on land immediately east of the Glenrose Rehabilitation Hospital. The new centre is expected to be complete in 2024. 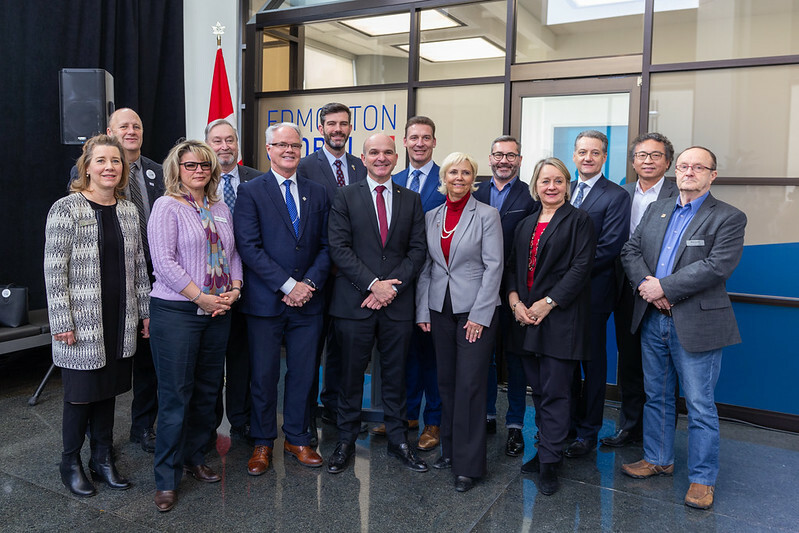 Edmonton Global has received $2.3 million from Western Economic Diversification Canada to help attract foreign direct investment to the Edmonton region. The Oilers had a busy couple of days! On Friday, they traded Cam Talbot to Philadelphia for Anthony Stolarz and yesterday they traded Ryan Spooner to Vancouver for Sam Gagner. A new report says people accidentally pushed the emergency stop button on the funicular 322 times last year and non-emergency breakdown response and repairs cost $112,641. The roof of the Citadel Theatre needs more than $4 million in repairs. It was installed 33 years ago, and the Citadel’s current lease expires in 2024. Montreal recently launched a financial assistance program to help businesses affected by major construction projects. Should Edmonton consider something similar? The University of Alberta’s nanoFAB facility has received a $3.4 million investment from the federal and provincial governments alongside Micalyne Inc. to make commercializing nanotechnology research easier. The $12 million Aurora Project will increase capacity at the TELUS World of Science through “through new exhibition spaces and redevelop programs that have a northern focus.” Construction began in October 2018. Have your say on how parking for new homes and businesses should be regulated – fill out this online survey by Feb. 24. The City is also looking for input on the future of waste management. In addition to drop-in sessions there’s an online survey open until April 15. Council is off this week, so here’s a recap of recent decisions and a look at what’s coming up. The Edmonton Oilers are hosting an autograph session at West Edmonton Mall on Monday afternoon. 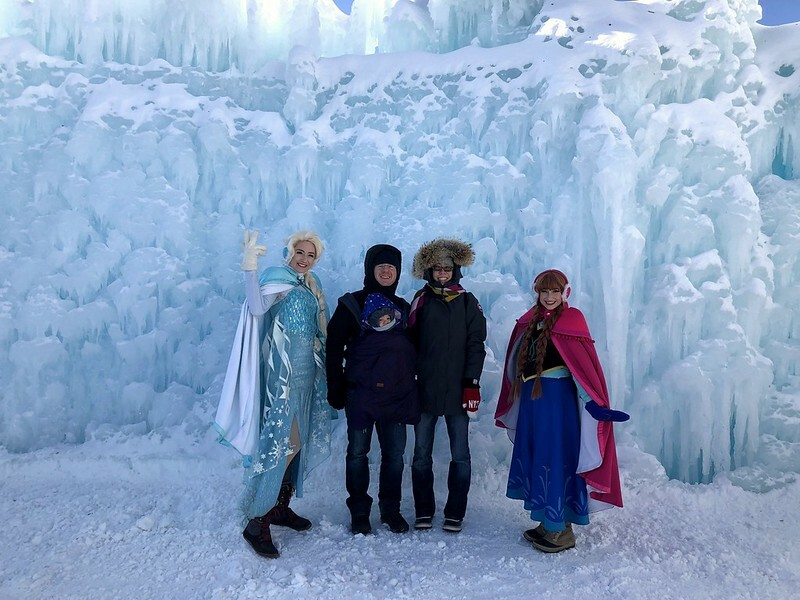 Ice Castles Edmonton is on at Hawrelak Park. The Oilers host the Coyotes on Tuesday, the Islanders on Thursday, and the Ducks on Saturday. Nerd Nite Edmonton #47 takes place Tuesday night at the ATB Financial Arts Barn. Snoop Dogg & Friends are at Rogers Place on Wednesday evening. Terry Crews has been announced as a special guest speaker for the Alberta Council of Women’s Shelters upcoming event on Wednesday at the Edmonton Convention Centre. The next EPL/ECF Forward Thinking Speaker Series event features Dr. Safiya Noble speaking about Algorithms of Oppression: How Search Engines Reinforce Racism on Wednesday evening at the Chateau Lacombe. F*ck Up Nights YEG Volume 4 takes place Wednesday evening at The Aviary. The Alberta Health & Safety Conference takes place at the Edmonton Convention Centre on Thursday and Friday. The United Way’s Red Tie Gala takes place Thursday evening at the Edmonton Convention Centre. Learn about how arts and heritage participation rates reflect values at the Alberta Museum Associations event on Friday night at the Art Gallery of Alberta. Books2Buy runs Saturday and Sunday at EPL in Enterprise Square. The Colorguard Collective Edmonton Invitational takes place Saturday at the Edmonton EXPO Centre. Edmonton’s NextGen presents Lunch MEAET on Saturday afternoon at the Edmonton Tower. The Coldest Night of the Year, hosted by the Bissell Centre, takes place Saturday. Fruit Loop’s February Fling takes place Saturday at Urban Tavern. Little Big Town is performing at Rogers Place on Sunday. 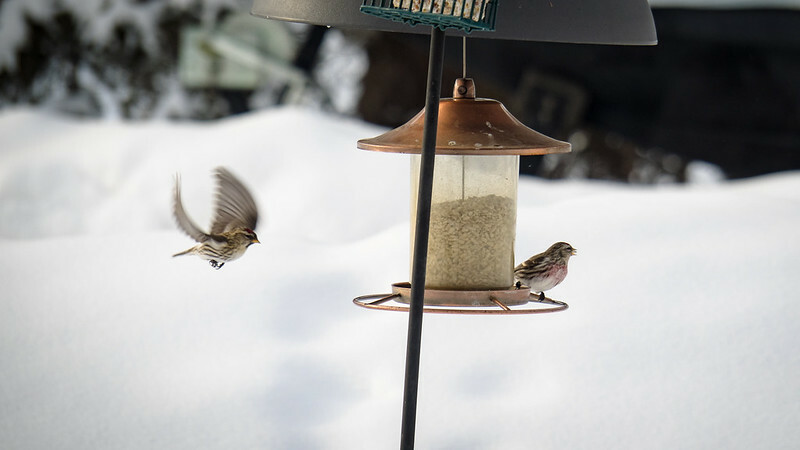 The Strathcona Community League is hosting Winterfest 2019 on Sunday afternoon. This year Boyle McCauley News is celebrating its 40th anniversary. In an interview with CBC Edmonton, editor Paula Kirman says the non-profit newspaper faces “increasing operational costs” and is looking at “all aspects” of how to raise funds. “You just have to be creative in today’s market.” A celebration gala & fundraiser on Saturday, March 9. All of Great West Newspapers’ 19 Alberta titles, including Edmonton Prime Times, are now members of the National NewsMedia Council of Canada. Tuesday, Feb. 6 was National Weatherperson’s Day, so Global Edmonton’s Phil Darlington spoke with Lesley MacDonald about what it was like to work with Bill Matheson. Paper Leaf Design was ranked #12 in Canada in the Design category of Clutch.co’s list of the top agencies in the digital services sector. Other local firms on the list include Lift Interactive, Top Draw, ThinkTANK, and Pixel Army. Happy Valentine’s Day! Here are some valentines for journalists. Patch “may represent the future of local news” says Recode, now that the company is profitable. 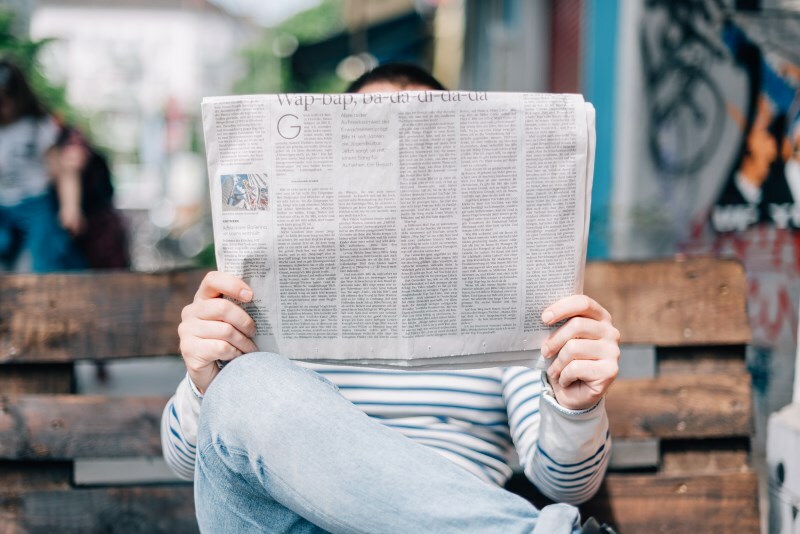 “As reporters and editors find themselves the victims of layoffs at digital publishers and traditional newspaper chains alike, journalism generated by machine is on the rise,” writes Jaclyn Peiser in the New York Times. Joe Schlesinger, described by CBC as “one of Canada’s most beloved and respected journalists,” has died at the age of 90.